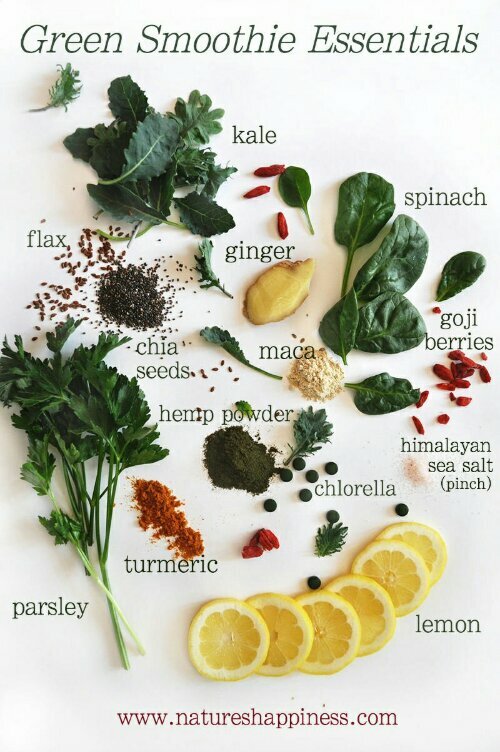 In a world of supplements and quick fix powders & shakes, what we really should be packing our body with is superfoods; foods that are nature’s dynamite and pack a large variety of nutrients into a small natural product. E.G. 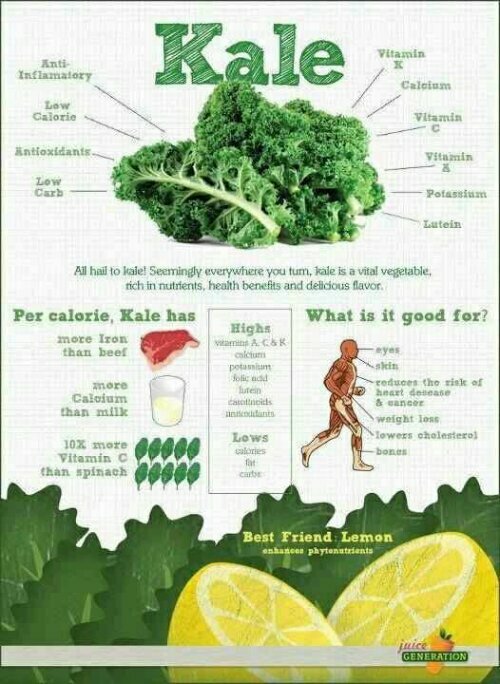 kale. 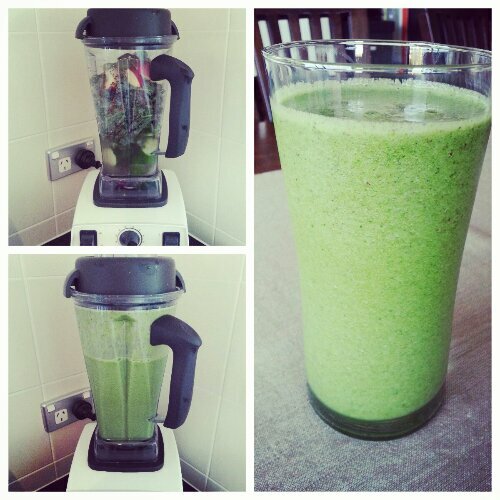 I love to start my day off with a green smoothie. 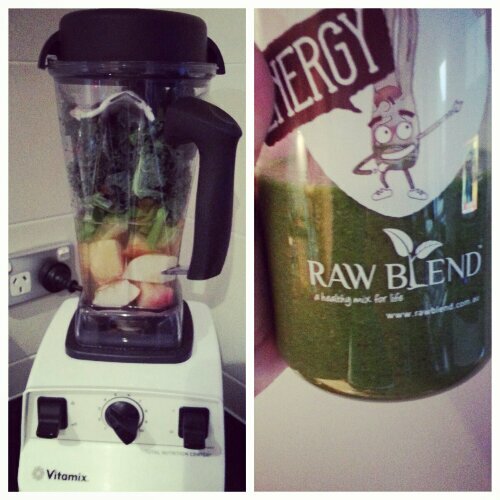 I remember the very first one Jay made for me apon getting our Vitamix. 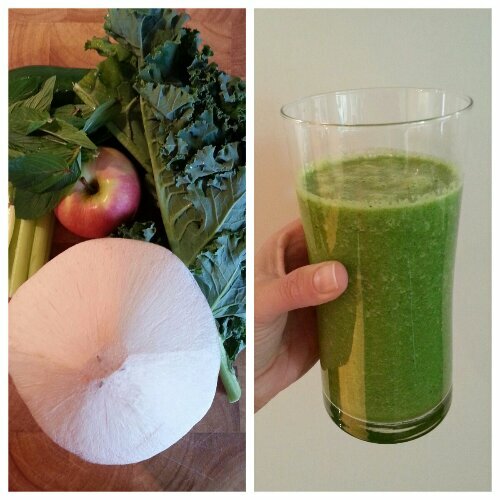 The taste was very green. Like eating grass! And a little thick which made swallowing that more difficult but after a few more tries & tweaks it became addictive. You feel healthy drinking it. 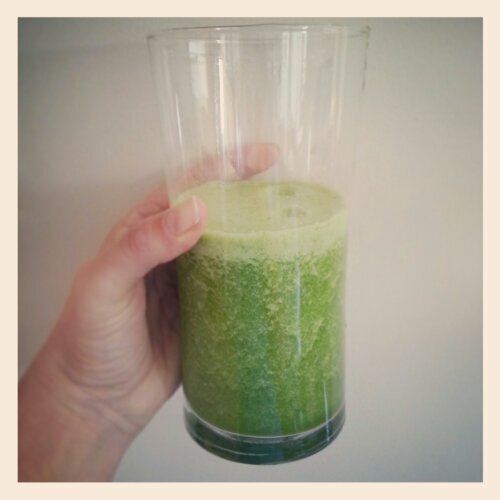 So I wanted to share a few of my Instagram photos of my green smoothies and give you some guidance and ideas for making your own. 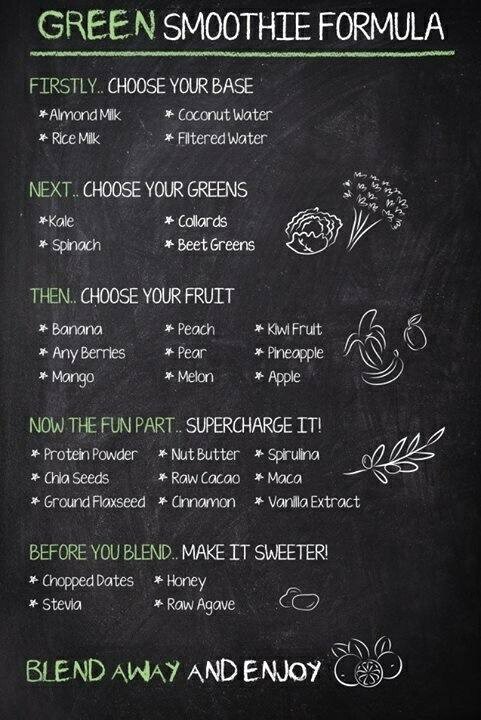 Note that you don’t have to have a Vitamix to create gorgeous green but you will need to blend the hell out of it to get a good smooth consistency. 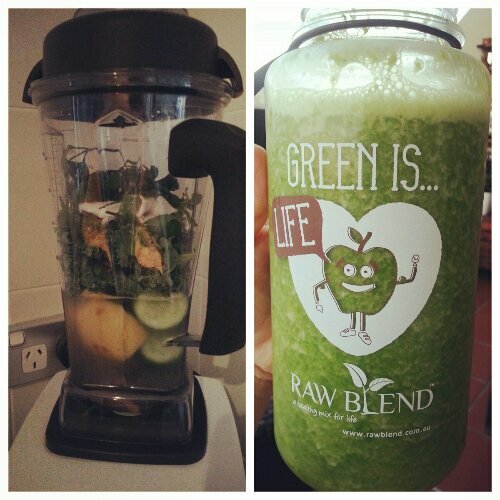 People at work do look at me funny when I’m carrying around my ‘to go’ bottle of the green stuff! But here are some other ideas I found via Pinterest (aaaah Pinterest! ).